Games4Escape Boy Escape from Halloween info about the game-Games2Rule. Game Tags Boy Escape from Halloween Rescue Games Escape Games Adventure Escape Games Games 4 Escape New Escape Games Games4EscapeThe boy escape from Halloween who has been kidnapped and kept as a hostage him to escape from the halloween house. Try to collect halloween objects and make use of it at places. Click on the halloween objects to interact with them and solve simple puzzles. Good luck and have fun! The boy escape from Halloween, who has been kidnapped and kept as a hostage him to escape from the halloween house. Try to collect halloween objects and make use of it at places. 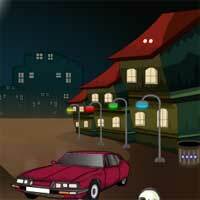 Click on the halloween objects to interact with them and solve simple puzzles. Good luck and have fun!